Hublot - The opening of Hublot's First Digital Boutique in New York! 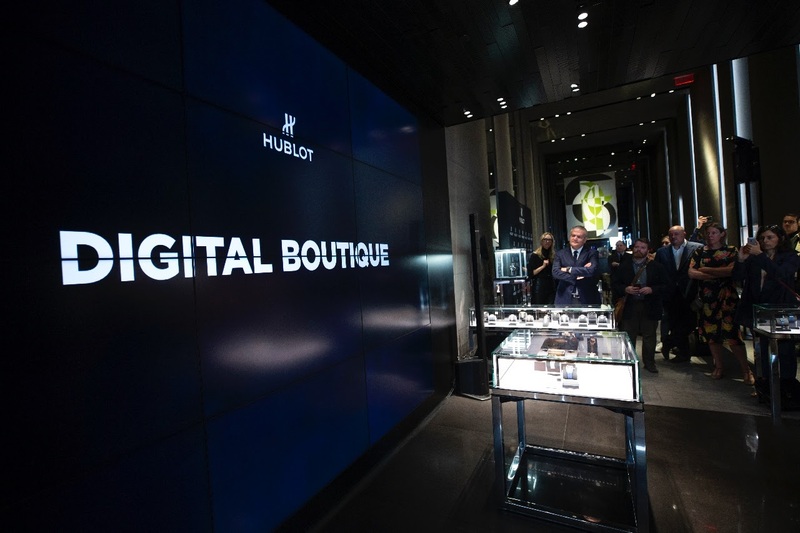 The opening of Hublot's First Digital Boutique in New York! Aware that the major asset of an excellent customer relationship is based on trust, availability and flexibility, Hublot has innovatively imagined an online digital store that perfectly complements the role and presence of its Boutiques through the world. From an advanced technological solution developed by the brand, Hublot’s sales advisors can, in real-time, via an interactive terminal, offer customers a service that is identical to that existing in the physical boutiques. A digital universe offering a virtual experience, one that is not alternative but complementary to that in its points of sale. An original way of responding to a modern world that needs to be able to obtain information and answers in real time. 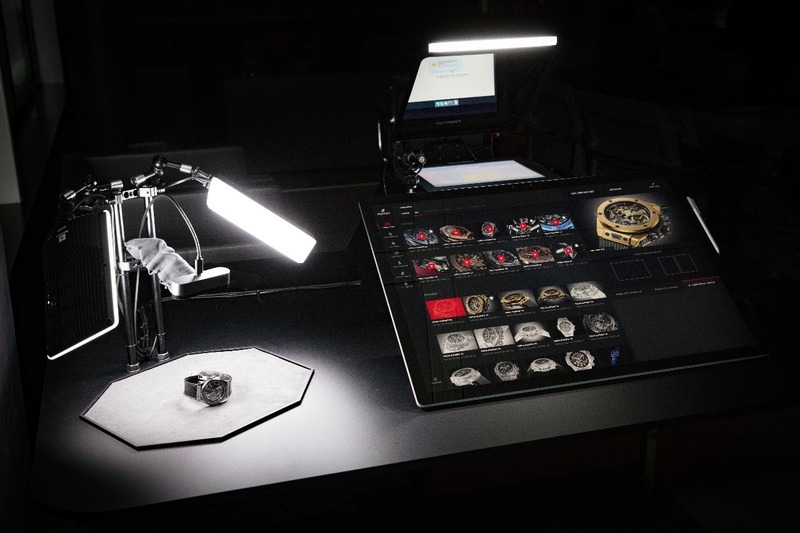 In practical terms, it all begins with the Hublot website, on which every customer can ask to be connected with the Hublot Digital Boutique. The client chooses the closest boutique. At this point, the client is either connected in real time with a manager at the chosen Boutique or schedules an appointment for a later date. 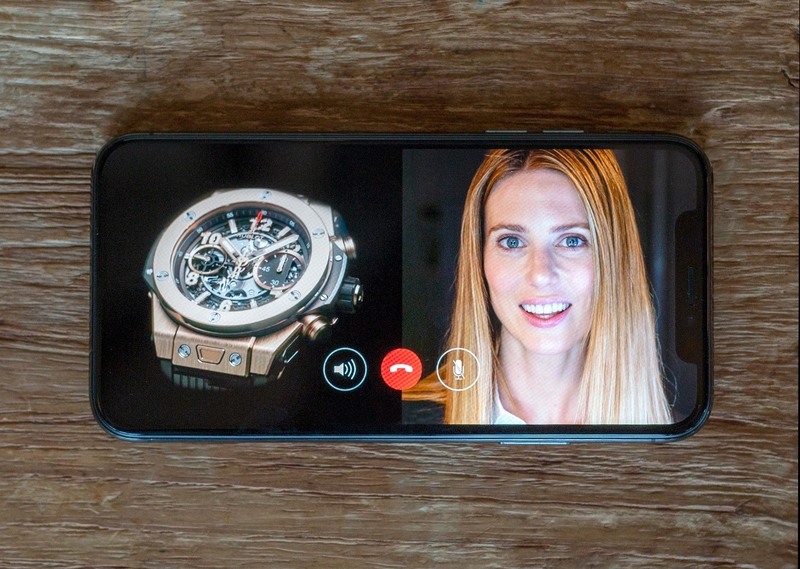 Via FaceTime or Skype, the client makes contact with one of the sales advisors in the boutique in the closest town and then begins to enjoy the Hublot experience. From the office, the lounge, the sunbed or even aboard a plane, the client can discover in real time, directly on his or her screen, the desired product presented live. It is a real interaction that removes constraints of time or place thanks to virtual technologies. Next, the customer is invited to visit the point of sale, in the real world this time, to continue the Hublot experience. This enables the client to take all the time necessary deciding to buy the desired watch, the sales advisor will send all the bespoke information concerning their customer’s watch in a virtual form, enabling him or her to decide on the purchase of their watch in good time. As soon as the customer has confirmed with a simple click that they wish to acquire the watch, they will receive a call from the boutique to finalize the purchase. This truly enhances the unique and human connection that binds every customer and Hublot. I find the concept interesting!